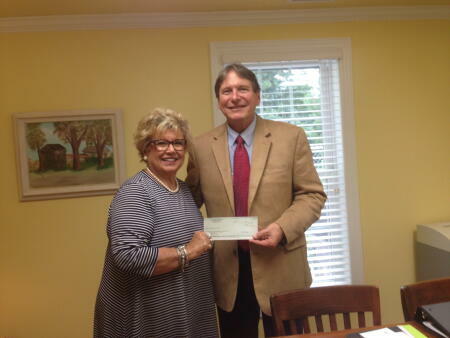 Greene County Community Foundation grants to Greene County Interfaith Volunteers, Inc. The board of directors of the North Carolina Community Foundation recently allocated a second round of funding from the NCCF Disaster Relief Fund to affiliate foundations serving the areas hardest hit by Hurricane Matthew, according to Rod Martin, statewide grants committee chair and a member of the board. The latest allocation totals about $207,500 and will go to 15 NCCF affiliates serving the parts of eastern North Carolina that are still recovering. Funding totaling $286,000 from the North Carolina Community Foundation’s Disaster Relief Fund was allocated at the beginning of the year. The Greene County Community Foundation also received an allocation of $10,920 to grant through the earlier allocation, bringing the total to $20,920 to date. Greene County Interfaith Volunteers, Inc. also received the earlier allocation. NCCF President and CEO Jennifer Tolle Whiteside said that the Foundation’s support continues to focus on helping our affiliates meet long-term recovery needs in eastern North Carolina. “These are allocations that we are confident will be granted effectively, because our affiliate boards live and work in these communities and know firsthand where these resources can make the most impact,” she said.